My Farm Life 2 is an episode based farming simulation game that offers a great challenge for beginners and veterans of virtual farming games. With well over 100 levels, multiple difficulties and dozens of achievements to complete (with corresponding trophies to collect) it offers a huge amount of gameplay to enjoy. 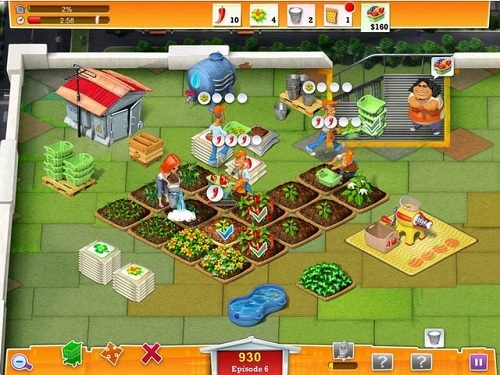 My Farm Life 2 challenges players to craft the perfect farm 30 stories above a busy city with a rooftop farm setting. While players might be on a rooftop they’ll still have access to all the farm essentials from crops to animals and more. With plenty of unique challenges being thrown you’re way My Farm Life 2 keeps players on their toes as they advance through the story based adventure. The game is about more than just planting the right crops which makes it much more in depth than similar farm focused games. 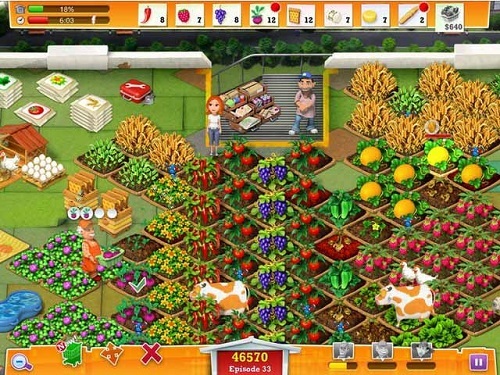 Players are also given control over the layout of their rooftop farm (with careful planning creating efficiency bonuses), upgrading machines to turn your materials into consumer products and hiring the correct help. These assistants in particular add a nice layer of depth thanks to the unique abilities that they possess. The core mechanics of My Farm Life 2 will be familiar to most with crops, products and other gear slowly unlocking over time to keep each level fresh and your strategy evolving. The number of options definitely isn’t in short supply either with all sorts of tasty fruits and vegetables that you can turn into tasty organic products to fulfil all sorts of customer orders. Challenge is what will really keep you playing My Farm Life 2 with beating levels on expert requiring several attempts as you refine your strategy to beat the clock. While it might not have enough differences from its predecessor for some there is definitely lots of enjoyment and challenge packed into My Farm Life 2. Multiple difficulties adds replay value. Establish your dream farm on a roof top. Hire helpers with unique abilities to achieve maximum efficiency. Create a farm with crops, animals and machines.